Cosmopolitan Punch is a fun yet sophisticated party drink inspired by the favorite cosmo cocktail. Serve a pitcher of refreshing and classy Cosmopolitan Punch at your next holiday cocktail party, and let the good times roll. This recipe is perfect for those who don't like their drinks too sweet, or too bitter. Stir together vodka, limeade, orange liqueur, cranberry juice, sparkling wine, and club soda in a large pitcher or punch bowl; add ice. When punch is very cold, remove unmelted ice. 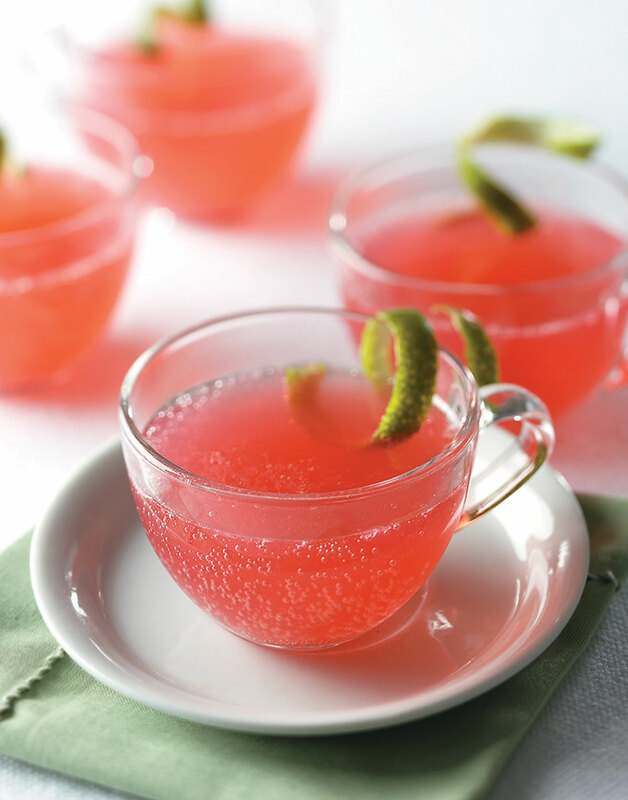 Serve punch garnished with strips of lime zest.